A daring helicopter rescue was caught on camera last week on a snow-covered mountain in France. PASSY, France — A daring helicopter rescue was caught on camera last week on a snow-covered mountain in France. This helicopter was dispatched to help an injured skier from the Pass of Anterne in Passy, France, located in the French Alps. 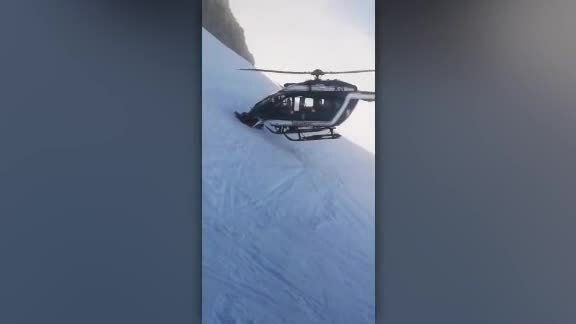 Video shows the chopper getting incredibly close to the skier, with the aircraft's nose wedging into the snow as it flies within inches of the mountainside. The crew was able to land, rescue the skier and hoist the skier to safety. The video was uploaded to Facebook by user Nicolas Derely on Jan. 3 and has been shared more than 5,500 times.